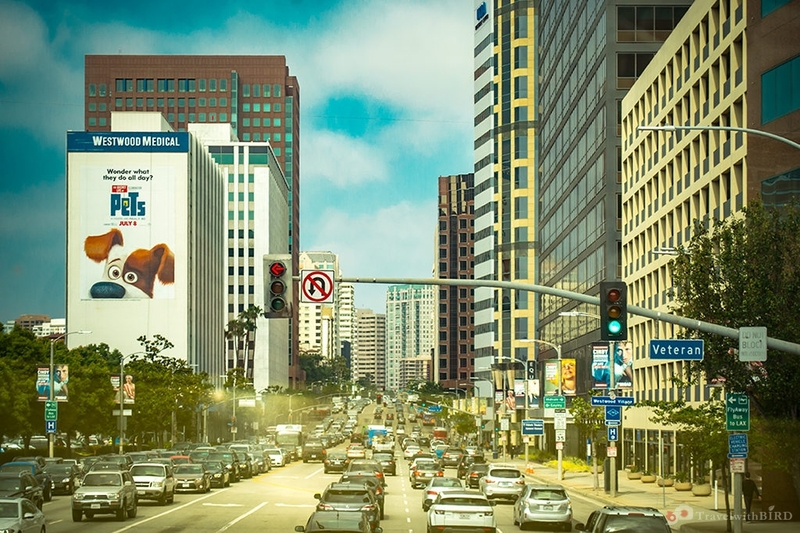 Los Angeles holidays tips - Everything for your trip to the US West Coast. today’s special post is about our stay in Los Angeles holidays beginning of June as part of our West coast Roadtrip + Hawaii. Maybe you missed the post about our first part – Las Vegas, which you find here . But lets share now our impressions of our Los Angeles holidays, about LA – The city of angels, lalaland and many other nick-names that were given to this fantastic metropolitan. 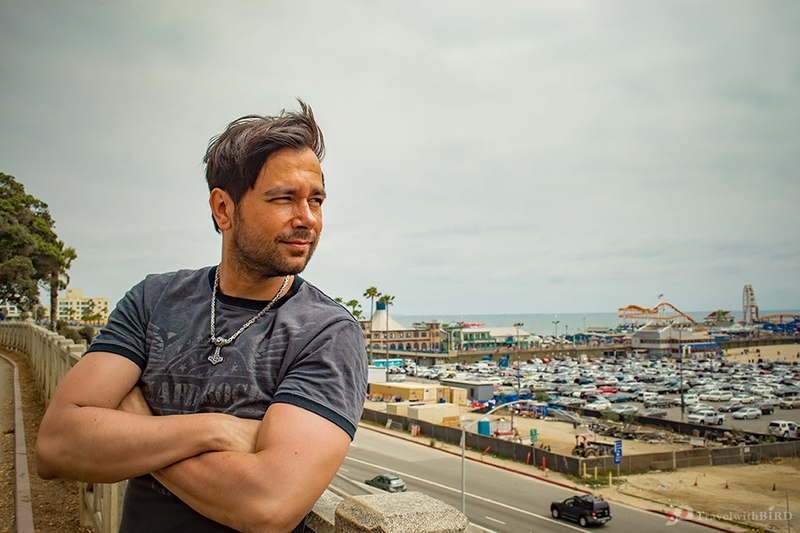 So we made our first little Road trip during this stay from Las Vegas to Los Angeles on June 14, which did not take that much time – around 5 hours and 270 miles drive and we were in our destination – Hollywood, where our accommodation was located. 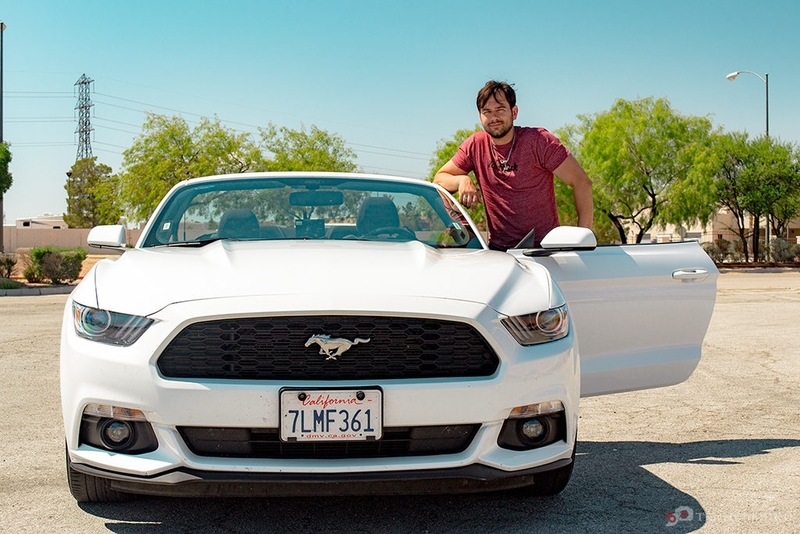 The trip itself was pretty cool, since it was the first time and a long wish of Hendrik to do this kind of roadtrip in the U.S., of course with a Mustang Cabrio and a special Spotify roadtrip playlist. But let me give you now some short introductions of the districts we have seen here during our Los Angeles holidays. This district is well-known for its film industry. As surely all of you know, many, or lets say nearly all big US film studios are located here. By talking with locals it turned out, that also these places changed quite drastically since 15 or 20 years, positive as well as negative, but still you can feel this very unique spirit everywhere and when you think about the legend of this place, which has seen all the celebs, VIP’s and beauties… yes that’s Hollywood. This was my imagination of our Los Angeles holidays and lets say, it was that way as well. Furthermore Hollywood is also a great place for shopping. Many stores, that are more considered as “alternative” or “budget” shopping. Fast fashion has certainly reached its top here. 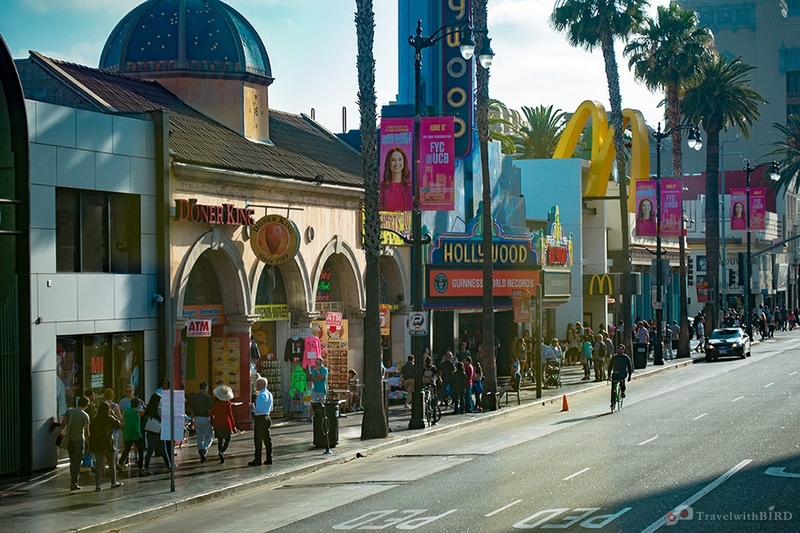 The main street called Hollywood Boulevard is also one of the main shopping streets. 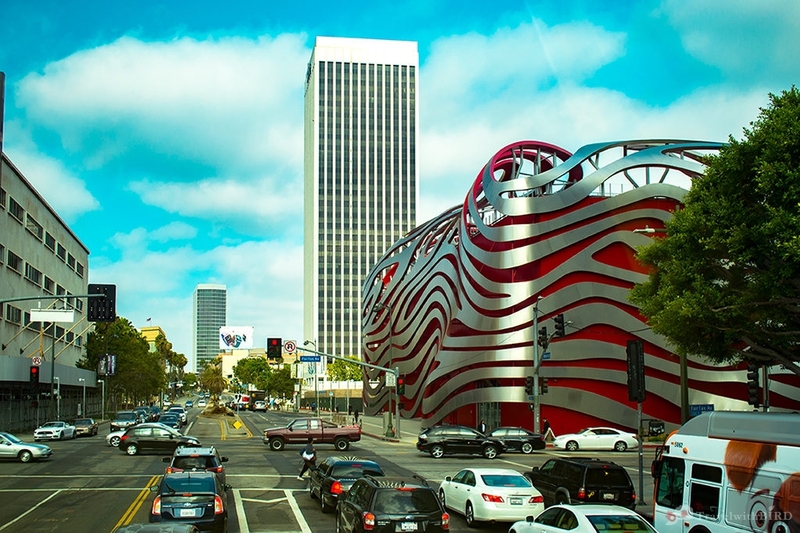 If you want to go for more luxurious shopping district – then your way should lead you to Rodeo Drive. Hollywood includes also the world famous “Walk of fame”. It’s of course the main tourist attraction of the district. Every child knows at least one name of one legend that has his name immortalized there on the street. The Four Ladies installation is a wonderful touristic attraction as well, located at La Brea Avenue, exactly where we had a privilege to stay during our Los Angeles holidays. Our first impression from Hollywood was a bit different than what we had expected. We went to the Hollywood Boulevard early in the morning and it did not look so friendly. Many drug addicts, homeless people and other promoters were wandering around. The weather was also quite untypically not so nice for L.A. so we quickly decided to take a bus tour and visit other districts of L.A.
Our road led us to Beverly Hills, which is a town in Los Angeles county, with more than 36.000 citizens. Beverly Hills was for me one of the long-waited places to see during our Los Angeles holidays. This place is well known from different TV series, movies all of us have seen. For more luxurious shopping, as a I mentioned above, you should definitely give it a try on Rodeo Drive. It is actually also interesting to look at the history of this town, how all started and develop. Regarding Shopping in Beverly Hills…you can certainly find the best stores in Beverly Hills, but also the most expensive ones. Here would be worth to mention House of Bijan. It’s the most expensive store in the world! Click here for more. We did not shop at Bijan this time…. Talking about expensive shopping, came into my mind the contrast of the city of Los Angeles. You can see so many homeless people, that the community of all homeless people together would be like a whole own town itself. There are simply many homeless people in Los Angeles. But at the same time many wealthy ones who can afford socks for 100 bucks. Downtown is the place of the culture and business. Here you can find all of it – opera, Walt Disney Music hall, business center, music center, Grammy museum as well is located in Downtown L.A. It is a shame that many tourists skip the Downtown, since Los Angeles is such a big city to visit, but it is certainly a worthy place to see. Try out to reach the top of one of the skyscrapers and see the wonderful view over the city from there. 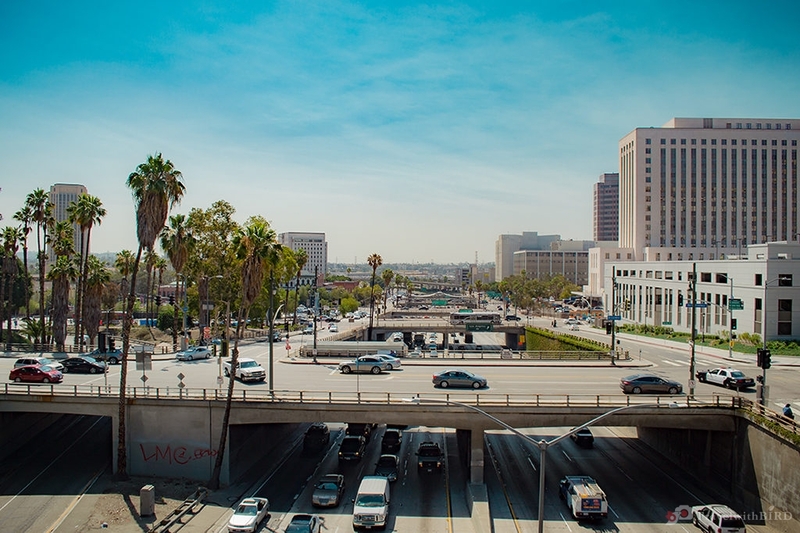 Just a little walk away from the Downtown Los Angeles you can find yourself in Little Tokyo and followed to Chinatown. This one is pretty big. We really like chinese food and that was an appealing place to have lunch. Afterwards of course a famous bubble tea with tapioca pearls. It is incredible that there are so many different flavors of this bubble tea. In LA I had a chance to taste with Taro. Nevertheless the old time classic black tea with tapioca is one of the bests in any case. Chinatown also has a wonderful market, I think it is a great place to find some nice accessories for outfits for great prices. Maybe for some of you this distrct is known from the TV series from beginning of 90s called melrose place. I do not want to discuss the problems that these stars had in this TV serie, but I want to mention that Melrose Avenue has many charming cafes and stores. I think if there would be more time, it would be definitely a good place for shopping. However, we passed Melrose Avenue quickly, since we were on our way to Venice Beach. Venice Beach This place is definitely a very famous tourist attraction. First impressions were generally good, even though we saw quite a lot of homeless people. This place is a gathering place number 1 for hipsters, underground people, teenagers, for daydreamers or just for tourists like us! Was amusing to notice many greendoctors, where one can get some relaxing “treatment”. Did we need something for relaxing? I think after having a huge cup of bubble tea in China town, i was more than I wished to be relaxed that day! What I really liked about Venice Beach, were the performers and amusers. They really knew how to catch the attention and gather dozens of people around them. 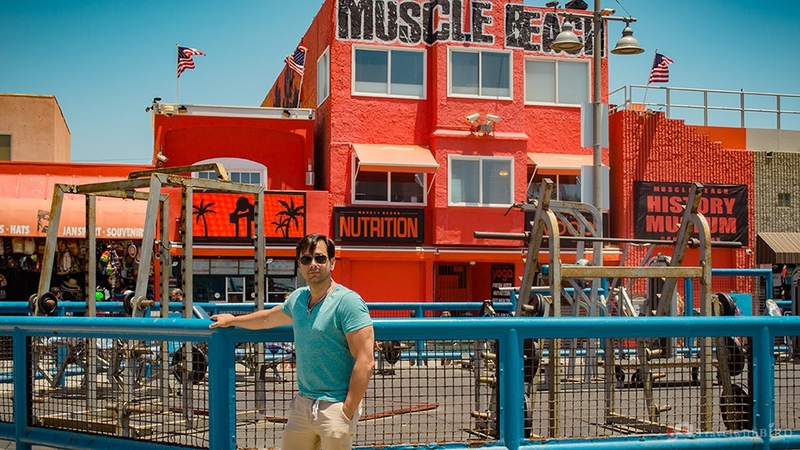 Venice Beach also has a gym at the “Muscle Beach”. Very famous one. Mainly for body builders, didn’t see a single ballerina there. Alright, moving forward. From Venice beach smoothly to Santa Monica. Easy just by walking the coast line. Took us a while and I got a bit sun burnt but happens only once. 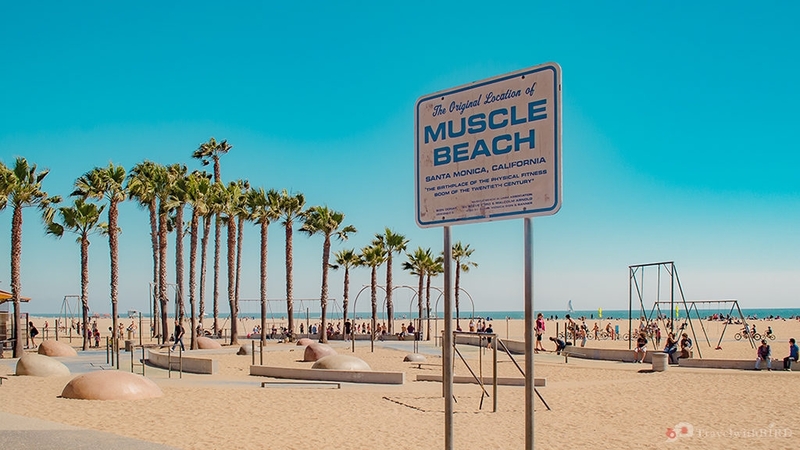 If I could choose a district to live in Los Angeles, i would probably go to Santa Monica, since it is not so crazy as Venice Beach, but the location is wonderful and there was something very calm and relaxing even tho it is always full of people. Or is it just me that day? who knows. I need a second impression. Third Street Promenade in Santa Monica is fantastic. Reminds me a bit of the Pier 39 in San Francisco, but of course LA style. But same idea. stores, cafes, tourist shops, bars and amusement park. After our whole long walk in Santa Monica Beach, we decided to go back home- to Hollywood. Giving Hollywood a second chance was worth it. The atmosphere was so different compared what it was that same morning. Full of life and joy. People looked happy and a lot of action. So it was our first day in Los Angeles. Los Angeles holidays just started. Tomorrow we had a visit to Universal Studios. This is a total one day program. Till then I say bye. You both look so glamorous in LA! Looks like the sun suits you! Wow! 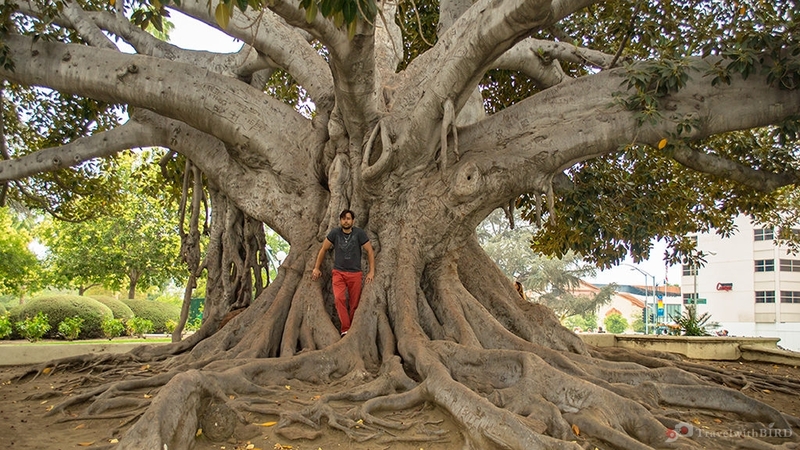 Love this photo tour (and it’s my “back yard” since I’m local!) I’m in the suburbs and rarely make it to L.A. 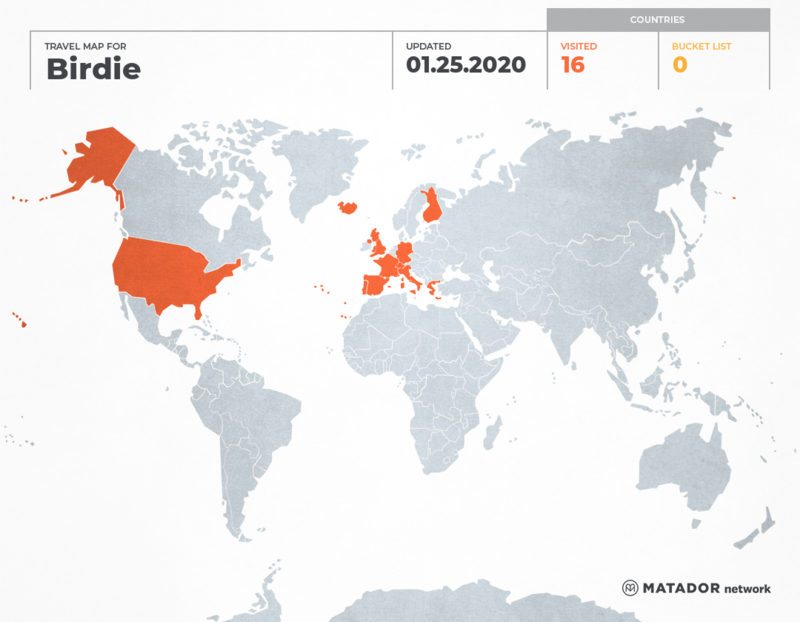 This makes me want to change that. Looks like you guys had a great time! Hi Julie, glad to hear this. Indeed, L.A., especially for us was amazing since we knew it “just from TV” so far… Even though it has also it’s different sides, we fell in love with the city. Amazing spirit. Cheers and have a great time! Great post! Have been in LA for 5 years but never got to really explore it as much. Need to put that on the list. We can only recommend, in our opinion this city is fantastic!